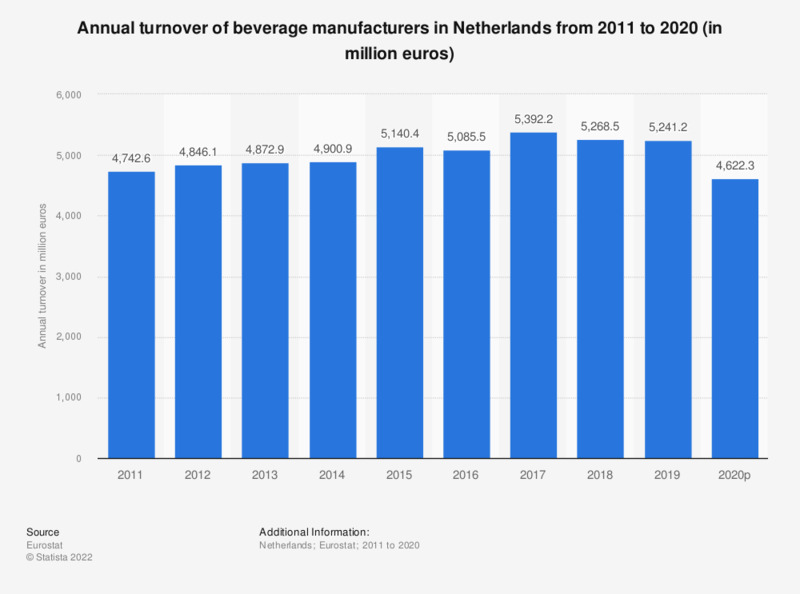 This statistic shows the annual turnover for the manufacture of beverages in the Netherlands from 2008 to 2016. In 2015, the beverage manufacturing industry produced a turnover of around 5.14 billion euros. Data coverage corresponds to code C11 of NACE Rev 2. Everything On "Food and beverage manufacturing industry in the Netherlands" in One Document: Edited and Divided into Handy Chapters. Including Detailed References.